I hope you've just received the weight loss and body re-composition education of a lifetime. c. Longevity is tied to equally to calorie intake and food choice (and the 3 hidden causes of weight loss). d. This isn't to say that food choice is not that important for weight loss, but it is to say that just substituting chicken for beef, or having brown rice instead of white rice, or eating the next new "health food" will not magically help you lose weight. e. You MUST be in a calorie deficit to lose weight i.e. taking in less calories than you burn, without going too low. ii. Moderate amounts of healthy fat. iii. Sufficient amounts of all-natural protein. iv. Nutrient-rich carbohydrates, soaked, sprouted (and sometimes fermented). i. Nearly every culture of 100+ year old inhabitants incorporates daily movement, up to 10,000 steps of daily walking. 2. On your off-days try to get in some light activity or at least go walking. iv. At a bare minimum, get in 20-30 minutes of movement 3x per week. 1. This keeps the mind sharp, body fit and vital organs cleansed and functional for the long term. ii. De-stress and laugh daily. iii. Gluten and wheat (for those who are intolerant). Wheat is the bigger offender. d. Use a synergistic blend of herbs, vitamins and minerals to steady blood sugar, detoxify the liver, and stop inflammation in its tracks. i. 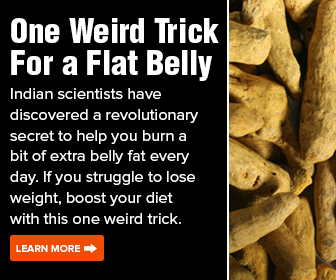 Take 1 capsule of the InvigorateNOW blend with a fat-rich meal. 4. Structure your meals around natural protein sources, veggies, fruits, healthy fats, and natural carbs. a. Eat "clean" 80-90% of the time. b. Eat junk food/cheat foods 10-20% of the time. e. Avoid diet fads like zero-carb, very low fat, vegan, very low calorie, etc. i. They do not facilitate proper education around nutrition for weight loss, setting you up for disaster once you inevitably face a plateau. h. Drink water. Thirst is often mistaken for hunger. Have a glass of water when you woke up and drink a glass at least every other hour. Try to drink your bodyweight in ounces of water every day (if you weigh 150 lbs, have 150 oz. of water). b. After weight loss is accomplished, maintain weight/longevity with about 15% of calories as protein. d. Eat at least 1/2 (but preferably 3/4) of your protein needs from whole food sources, and get the rest from a protein shake. I recommend Biotrust Low-Carb. a. In Phase 1 (Insulin Reset), get 50 grams of carbs if you're female and 75 grams if you're male. d. Stick to natural starches such as rice and root vegetables. ii. Have beans/lentils and brown rice if you can soak/sprout them to reduce toxin loads. a. Fat doesn't make you fat. Poor nutrition, "bad fats", high toxin intake, and lack of exercise does. i. Polyunsaturated, high Omega 6 fats (NOT sugar) is one of only 2 factors of American food consumption that has increased in the last 50 years, corresponding with the rise in obesity. 1. The other factor is a roughly 500 calorie rise in daily intake, that is also be tied to the increase in Omega-6 intake. d. Also, have healthy, low Omega-6 oils. i. Best: Have coconut oil/coconut milk, butter/ghee, palm kernel oil, etc. ii. Have greek yogurt, kefir, butter, cream, some cheese, etc. e. Eat 2-3 pieces of fruit a day. This fills up liver glycogen to support long-term health, without some of the possible negative of very high fructose intake. a. Prepare "batch meals" 1 or 2x per week for breakfast, lunch and dinner. b. Split these meals into Tupperware, bring them to work, and just warm them up for each meal. c. Keep a glass Pyrex container to transfer food into, for microwave use. Otherwise, simple Tupperware/plastic containers can leech chemicals into your food when heated. g. "Hack away at the unessential"
ii. Don't watch the news. Get important info from friends/colleagues. Spend that free time to work on things that make you happy. iii. Cut out binge TV watching. Just watch your favorite show for 30 minutes, help you reach those goals/dreams that you pushed to the backburner. iv. Keep only your quality, comfortable clothing and get rid of the stuff you don't wear. Give them to people who need it more than you do. Read the previous article about "Advanced Fat Loss - Part III: Intermittent Fasting"
Read the next article about "Advanced Fat Loss - Part I: Calorie Cycling"